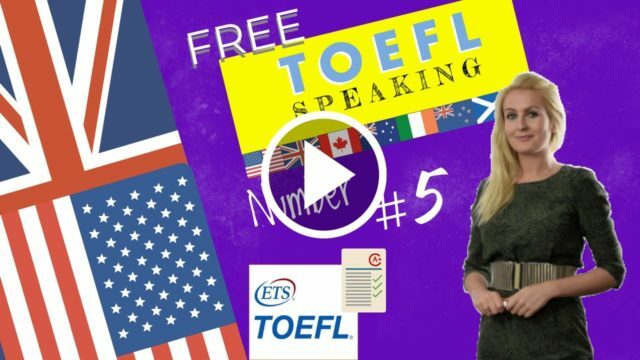 Before filling in your TOEFL speaking template it is important to learn some note-taking strategies. When taking notes on the dialogue, FIRST write down the nature of the problem, then write down the two solutions. below we give you a complete guide on how to complete this task effortlessly. Firstly write down the structure for your notes. When taking notes on the dialogue, FIRST write down the nature of the problem, THEN write down the two solutions. After the dialogue is finished, look at the computer screen and read on the prompt. What is the task? Look back at your notes, label what’s necessary, and find the info in your notes. ALSO, circle the solution YOU are going to choose. With the 20 seconds of preparation time alloted to you, write down a few notes about a personal story that relates to the solution you chose. Listen to this dialogue between two students. Female student: How are the calculus classes going? Are you getting the hang of them? Male student: Not really. I just can’t get the hang of it. There are so many functions and formulas to memorize, you know? And the final…it’s only a few weeks away. I’m really worried about doing well. F: Well if I were you , I would go to the tutoring program and ask for help. M: You mean, in the Mathematics building? F: Yes. you can find a tutor there. Most of them are students doing doctorates on the math program. They really know their stuff, and for the final test, they’d be able to tell you exactly what to study, how to prepare for it, and all. M: Yes I’ve heard about that program…but doesn’t it cost money? F: Of course. You have to sign up and pay by the hour…but they will fix your problem. F: The other option, probably, is to join a study group with other students. That option would be free. M: That’s an idea…although I was in a study group once before, and it was a complete waste of time. We usually ended up talking about other trivia like what we did over the weekend. F: But was that for calculus, right? Because I’ve actually had some positive experiences with study groups in maths. Usually, maths students have different strengths and weaknesses with the material…when they’re serious about studying, they can really help you. It’s worth considering. C – Which solution you would choose, and why? Private Tutor – Experience with both private tutor/group study. Private tutor more effective. “Algebra”. Better grade. The man, in the dialogue, has a problem. He is not understanding what’s going on in the calculus class. The woman suggests two solutions to help him out: First idea was, find a private tutor second, join a group study. Personally, if I was in the man’s situation, I would choose the private tutor option. Although the private tutor costs money, it would be a false economy not to. One time while at University, I took an algebra class. I was not doing at all well. I decided to engage a private tutor to help me and, within a few weeks, my grades improved substantially. From personal experience I would go for a private tutor. Two possible solutions are suggested. I feel this way for two reasons.